Emma Stolzfus has never been courted or kissed, despite a few dates during her Rumspringe years that never amounted to anything. Now 30 years old, it has become her place as the unmarried daughter to look after her elderly mother. In the dark hours when her mother is asleep, Emma writes letters and essays to Amish periodicals, short stories, and even a novel she's been working on for the last five years. When an editor at a New York publishing house, Tyler West, takes an interest in her work, Emma secretly goes to meet him. It is the first time a man has paid attention to her, and beyond that Tyler wants to publish her novel. 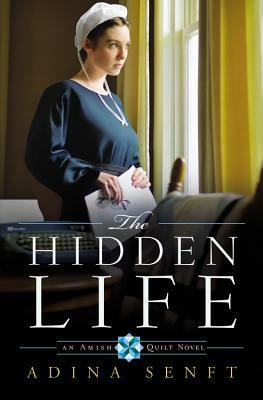 Emma suddenly finds herself torn between her Amish faith and the lure of all the English world offers her. Gifted at writing, Emma writes letters and essays for Amish magazines and no one knows about it. After writing a novel, she enters it into a contest and a New York literary agent takes an interest in it. Emma has never dated, and feels destined to be the unmarried daughter who cares for her mother and helps with her sisters' children. Then, when the man Emma has always had a crush on is recently widowed and begins showing her attention, she is torn between finding the love she has always wanted and having her writing published for an Englisch audience. 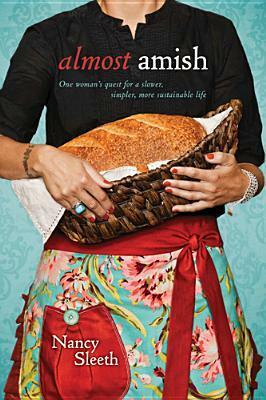 Women are to be seen, but not heard, at least in Emma's Amish world and she isn't sure she can have it all. I enjoyed reading Emma's story after meeting her in A Wounded Heart. I find the Amish world fascinating and this was a delightful novel. I look forward to Carrie's story. A sequel to A Wounded Heart, the story stands alone fairly well, although it's always better to read a series in order. "Do what the other fella can’t. Be what the other fella ain’t, and then help the other fella.” Joe Hart has never let go of his uncle’s words. An orphan from the unspoiled Adirondack mountains, Joe leaves his humble beginnings and goes on to distinguish himself, first as a Navy submarine commander, then as an attorney unequaled in his field. But Joe's world crashes with an unexpected tragedy. Too soon, Joe calls in his unconventional IOU. The self-absorbed Preston balks when Joe tells him he must meet, earn the trust of and care for several people. 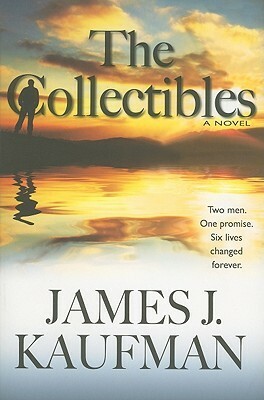 Each of Joe’s "collectibles" –none of whom Preston would ever want to know—has a serious personal challenge. Can Preston find the integrity to make good on his promise to Joe? Does he have a choice? I found this to be such an interesting premise for a book. Joe was a little too good and Preston came around a little too quickly, but this was an engaging and inspiring story, if a little predictable. The legal jargon in the boardroom was a bit much for me and I finally just skimmed those parts, because honestly, I don't care about the legalities of the automotive world. But, the idea that people look out for people is inspiring and the story certainly made me think about how I view other people. A promising debut, this is part of a trilogy and I look forward to what comes next. Thanks to Rebecca Brown of The Cadence Group for the opportunity to review this book. You can learn more about James J. Kaufman here. You can purchase your own copy here . Lily has squeezed herself into undersized relationships all her life, hoping one might grow as large as those found in the Jane Austen novels she loves. But lately her world is running out of places for her to fit. So when her bookish friend invites her to spend the summer at a Jane Austen literary festival in England, she jumps as the chance to reinvent herself. There, among the rich, promising world of Mansfield Park reenactments, Lily finds people whose longing to live in a novel equals her own. But real-life problems have a way of following you wherever you go, and Lily’s accompany her to England. Unless she can change her ways, she could face the fate of so many of Miss Austen’s characters, destined to repeat the same mistakes over and over again. My Jane Austen Summer explores how we fall in love, how we come to know ourselves better, and how it might be possible to change and be happier in the real world. This was just a story that tried to hard to be something special. The characters weren't at all likeable and I didn't care about them. There were too many moving parts and, on the whole, it just didn't mesh together well for me. 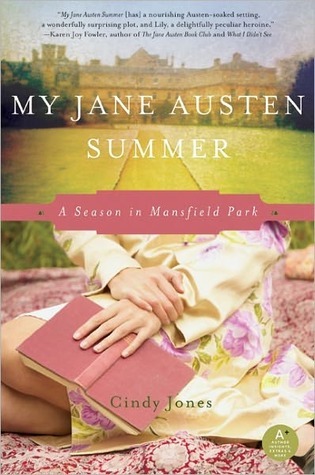 I think the author is a talented writer, and it's apparent that Mansfield Park is not only her favorite Austen novel, but she has devoted much time to studying commentaries about it. It was all just too much for me. 2 stars for the clever premise, but other than that, don't bother. Florence's father was a dirt-poor tobacco tenant farmer who was nearly fifty years old when he married Florence's twenty-five-year-old mother, and was nearly seventy when Florence was born. Florence's childhood was full of deprivation and abandonment. Her father was an alcoholic at a time when there was no rehab or help for the disease. Their home rarely had electricity or running water. When she was twelve, Florence's mother left the family to work in Cleveland and never returned. Florence opens up about her childhood, as well as the challenges she's faced as an adult, including stage fright, postpartum depression, her extramarital affairs, divorce, her hearing loss, and heart problems. She writes with honesty and wisdom of how her faith and ability to survive has brought her through rough times to a life of profound joy and purpose. Like many who grew up watching the Brady Bunch and Wesson Oil commercials, I had no idea that Florence Henderson has had such a long career. I learned that she started on Broadway and was the original Today Show girl and that she came from an alcoholic, impoverished home. Florence talks about abuse, postpartum depression, her father's alcoholism, her mother's abandonment, divorce and affairs. But, I found her memoir straightforward and easy to read and she shares her story with a refreshing honesty and a positive attitude. An interesting and enjoyable read and one that fans of Florence will enjoy. Thanks to Sarah at Center Street for the opportunity to review this book. 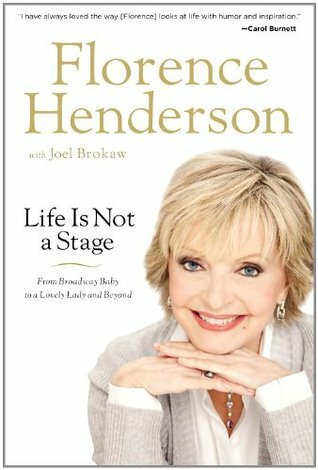 You can learn more about Florence Henderson here. You can purchase your own copy here . It's time to simplify our lives, make faith and family the focal point, and recapture the lost art of simple living. Building on the basic principles of Amish life, Nancy Sleeth shows readers how making conscious choices to limit (and in some cases eliminate) technology's hold on our lives and getting back to basics can help us lead calmer, more focused, less harried lives that result in stronger, deeper relationships with our families, friends, and God. While going completely green and off grid aren't practical things for most of us to do, there is a movement afoot these days to simplify and lessen our carbon footprint. Nancy Sleeth and her family have done this, not by becoming Amish, but by embracing Amish principles. 1. Homes are simple, uncluttered, and clean: the outside reflects the inside. 3. Saving more and spending less bring financial peace. 4. Time spent in God's creation reveals the face of God. Each chapter takes one of these principles and expands on it through personal experiences of the Sleeth family and anecdotes and stories from the Amish. I found the book well written and thought-provoking. I think there are ideas and suggestions and philosophies for any reader, whether it be someone who is simply curious or someone who truly wants to live a greener life. While I found the portrayal of Nancy's family a bit too perfect, they sound like truly good people who are making a difference in their community. I commend them for that. I liked the inclusion of recipes, some of which I am anxious to try. Thanks to Tyndale House for the opportunity to review this book. You can learn more about Nancy Sleeth here. You can purchase your own copy here . 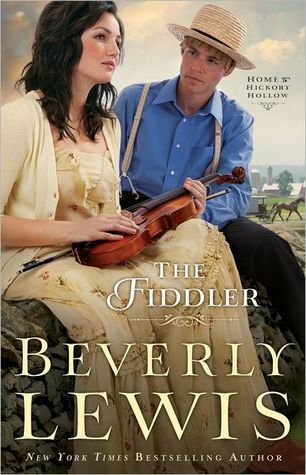 I was so excited to see a new series by Beverly Lewis and The Fiddler did not disappoint. Michael Hostetler struggles with the decision to join his church and remain Amish. Amelia loves her life as a concert violinist, but the pressures to perform and excel have driven her to search for her true purpose. When a wrong turn in a rainstorm brings her to Michael's door and Hickory Hollow, she discovers the peace she didn't realize she needed. As Michael and Amelia's story unfolds, we are drawn into the lives of these terrific characters. Beverly Lewis is a master at blending the Englisch with the Amish and showing the differences. Differences that some can accept and others can't. Lewis' characterizations are terrific and I loved ready about Michael and Amelia. I can't wait for the next book in the series, The Bridesmaid. I've enjoyed everything I've read by Ann H. Gabhart. 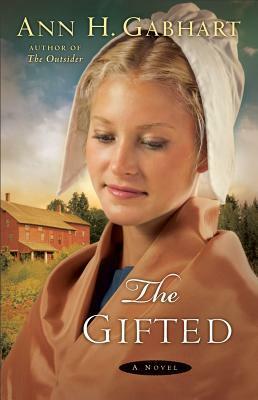 And The Gifted is just as terrific as Ann's previous Harmony Hill books. Jessamine is a spunky young woman dreaming of what might be outside Harmony Hill. When the opportunity to leave Harmony Hill is presented to her and when her lost past returns, Jessamine wonders if she will be able to live in the outside world. The Shaker religion is fascinating and once again, I appreciate Ann's fair portrayal of the Shaker life. While her heroines usually, eventually leave the Shaker life for the outside world, she is never critical of the Shakers. Rather, she is able to write about their faith respectfully, even as characters leave the Shaker world for something else. Available July 2012 at your favorite bookseller from Revell, a division of Baker Publishing Group. Thanks to Donna Hausler of Baker Publishing for the opportunity to review this book. You can learn more about Ann H. Gabhart here. You can purchase your own copy here .